About - SALVO STUDIOS, LTD.
Late 2016 I became excited about new hardware that was going to be released in 2017 - namely Ryzen and Vega. With a renewed interest in assembling my own PC I began looking at what new options were available on the market for the PC builder. Many PC users (gamers, professionals, etc.) don't have the need for many peripheral devices other than the Video Card (GPU). 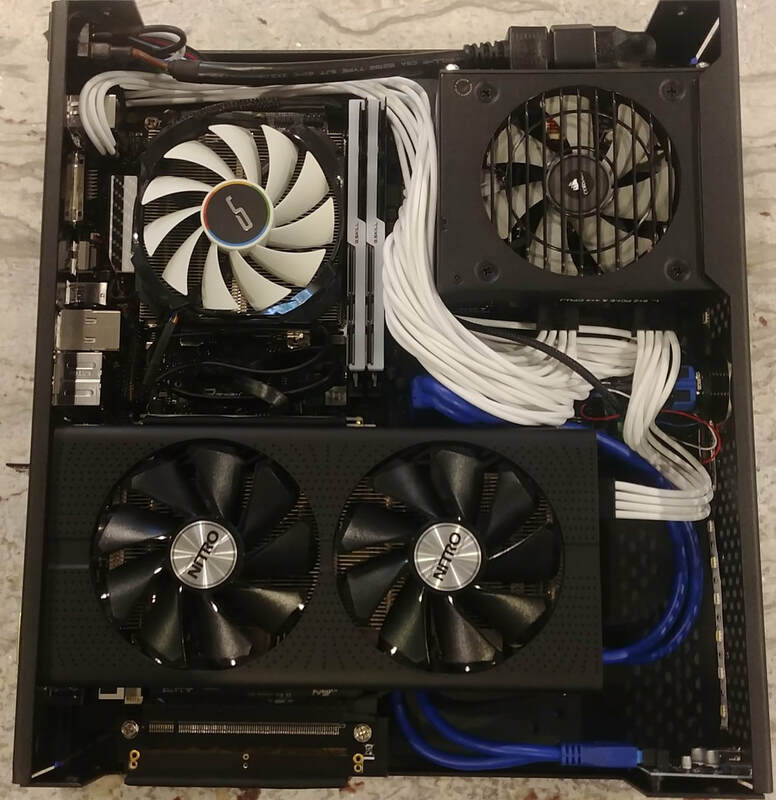 Looking at my over-sized Corsair Obsidian case, I noticed just how much space it was consuming and asked the question of why there aren't solutions on the market for compact computer form factors. So in late 2016, I began designing my first case and shared the experience on Hard[OCP] forum. Many Small Form Factor (SFF) components have existed for a long time but have not really been pushed into the mainstream. Being an engineer, I started researching and developing my own case with the intention of making one custom case for just myself. I found many resources through my discovery of SmallFormFactor.net but many projects were being conducted overseas. All of them were high-quality solutions but many I was interested were no longer available due to their Kickstarter/Indiegogo campaigns having past. At this point I realized that there would be a small market for the S400 (my first design) and that it was different enough to generate interest. Thus, I continued my development with the goal of now producing a small batch of cases to help offset my own development and research costs. In 2017 Salvo Studios, LTD. was formed to protect my personal assets and to help with my taxes. All 40 initial S400 cases were sold within three months of having been produced. With the advent of this site, there is a renewed focus on updating the S400 as well as creating new products that I believe will be exciting. Salvo Studios, LTD. is sole-proprietor LLC owned by Brian Anttila. I am the only employee and perform all the design, support, finances, and muscle from "soup to nuts". 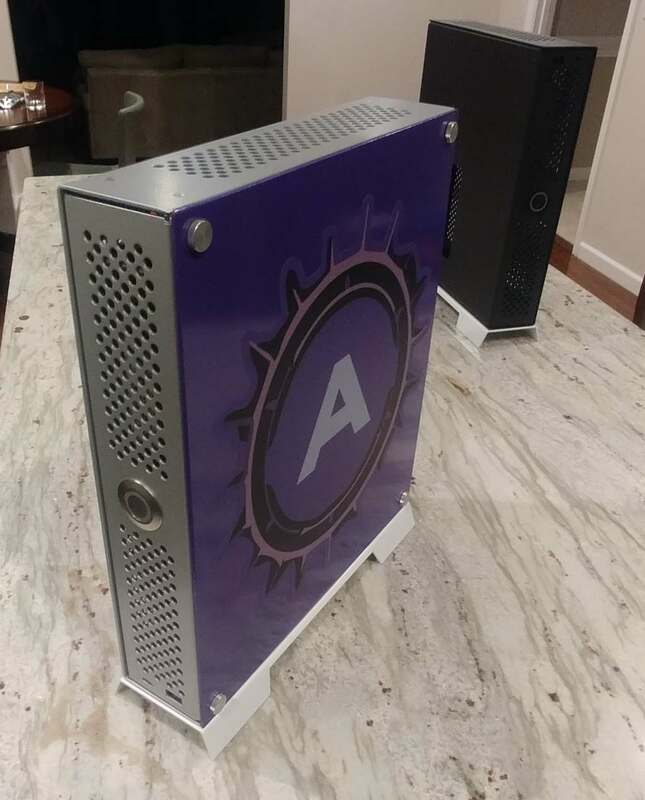 The only exception is the fabrication of the cases which is done by Valley Precision in Waynesboro, VA.
To provide straight-forward computer case designs for an efficient use of space.